Yesterday we had Chanuthi start in Room 9. She is doing such a good job already! 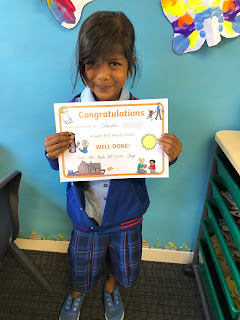 It's great to have you in Room 9 Chanuthi! Welcome Chanuthi to our Sunnyhills family - we look forward to being your friend and learning with you!